If one were to evade analysis of this track, it would be simple to hit the generic touchstones of doom metal/ stoner rock and their like and we could all sagely nod our heads. Because Skullcave’s new single Fear to Hide is certainly within these bounds. The thick walls of detuned guitar, the dragging tempo of the rhythms, the agonised torment of the multiple vocal layers are familiar enough territory. But the gut feeling on Fear to Hide (the first release off upcoming album Fear) is that Skullcave are genuine artists, pushing their palette beyond mimesis. If the name of the release label Art as Catharsis is coincidental (which, on balance of probability it absolutely is not) it’s certainly an excellent synchronicity. This is indeed art as catharsis. Those who are already fans of the band’s existing work have seen this aim develop over their brief and impressive oeuvre. Length (Fear to Hide clocks in at slightly over 10 minutes), complexity, layering, and deliberate obscurity are all in service of bleeding out raw meaning. In this case the band has explicitly taken aim at the pervasive nature of social media and its attendant pressures but it would be a disservice to limit the reach of this piece to just our current woes with Facebook. The juxtaposition of personal emotion and its potentially overwhelming interface with social expectation is a human experience as deep and old as society itself. There is no need to be a fan of Mastodon, Mogwai or Sleep to find this track beautiful and deeply resonant. In fact it hit me on repeated listens that I was feeling something akin to the sweeping response I first felt on hearing Pink Floyd’s Brain Damage. 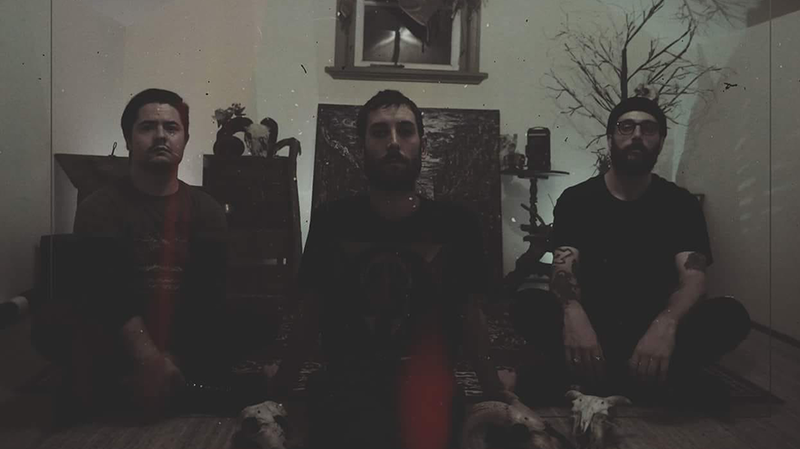 This may be rarefied air to share but Skullcave have both the ambition and the artistic integrity to take you all the way there and Fear to Hide is a bold step on that journey. Don’t bet against these guys. This is just a taste of what they are ready to deliver. Bring on the album!